On the 21st February at 8pm GMT, viewers from around the world will be able to experience the biggest music event of the year as YouTube joins forces with The BRIT Awards 2018 with Mastercard as the event’s official live streaming and video partner for the fifth consecutive year. Hosted by Jack Whitehall, the 38th BRIT Awards with Mastercard will take place at The O2, London and music fans around the world can tune in at youtube.com/brits to watch this spectacular event. The live stream will be available in YouTube territories outside the UK, including across Europe, North and South America, and large parts of Asia, Africa and the Middle East. 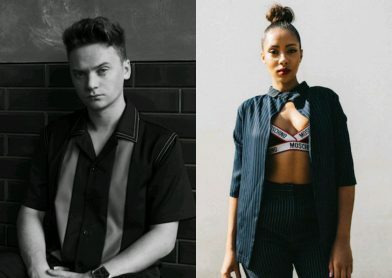 This year’s live stream hosts are UK artist and YouTube sensation Conor Maynard and BBC Radio 1Xtra DJ Yasmin Evans. With almost 7 million followers subscribed to his channel and individual videos racking up between 20 million to 100 million views, who better to present the YouTube live stream than music star Conor Maynard. Stockport born Yasmin Evans began her radio career at the age of just 15 and in addition to 1Xtra has presented for Vevo UK and CBBC’s Saturday Mash Up. Yasmin has also hosted the Rated Awards for GRM Daily, and has worked alongside major brands including ASOS, Red Bull and Cancer Research UK. As well as finding out the winners of this year’s striking Anish Kapoor designed awards, those tuning in will be able to enjoy performances from superstars Justin Timberlake, Ed Sheeran, Stormzy, Sam Smith, Rita Ora and record-breaking five-time nominee Dua Lipa. Elsewhere Jorja Smith will make history by becoming the first BRITs Critics’ Choice recipient to perform on the BRITs main show in the same year as winning the award, taking to the stage alongside 2017’s Critics’ Choice Award recipient Rag’n’Bone Man. And in another BRIT Awards first, Foo Fighters will take to the stage, having picked up three BRIT Awards for Best International Group to date. Videos already available to watch onyoutube.com/brits include Conor delving into this year’s nominations in Conor Maynard’s Connections, the best bits from The BRITs Are Coming Nominations Show, plus interviews and beautiful sessions recorded at Abbey Road by this year’s Critics’ Choice nominees Mabel andStefflon Don, and winner Jorja Smith. In both 2016 and 2017, The BRIT Awards reached over 1 million unique viewers worldwide on the YouTube channel, and with Conor Maynard and Yasmin Evans as the faces of this year’s live stream, the ceremony will no doubt reach even more music enthusiasts around the globe.